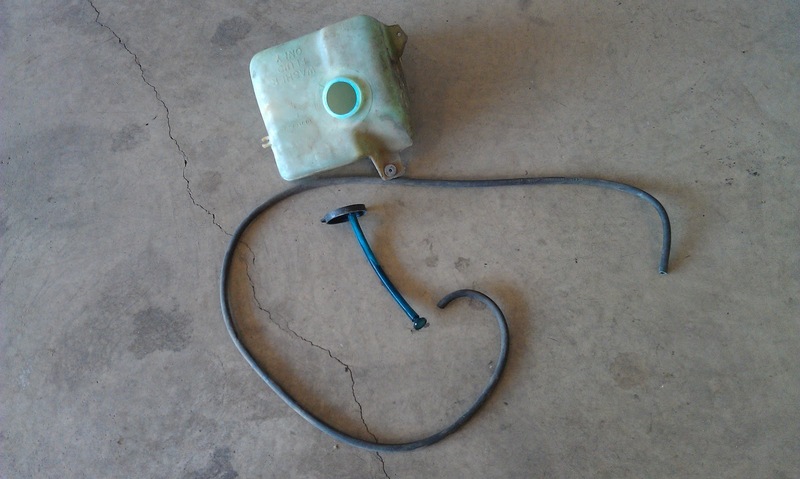 Today I removed the washer fluid reservoir and radiator overflow tank. Both were easy to remove and secured only with two screws. 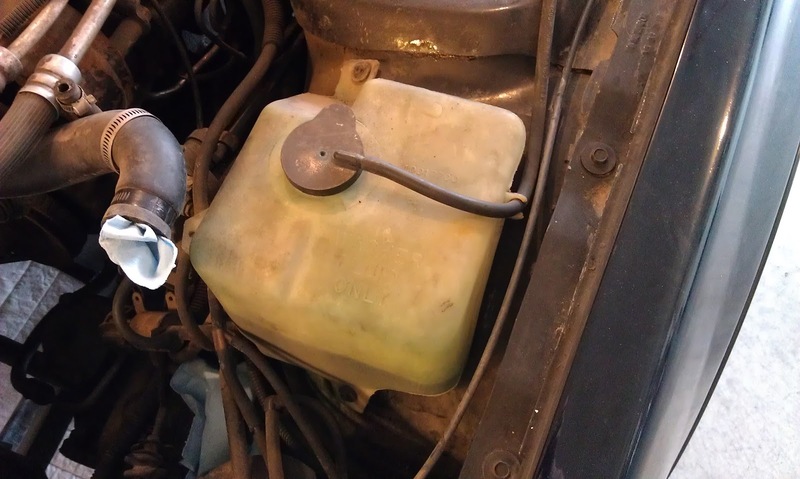 The washer fluid reservoir is mounted on the driver side wheel well. 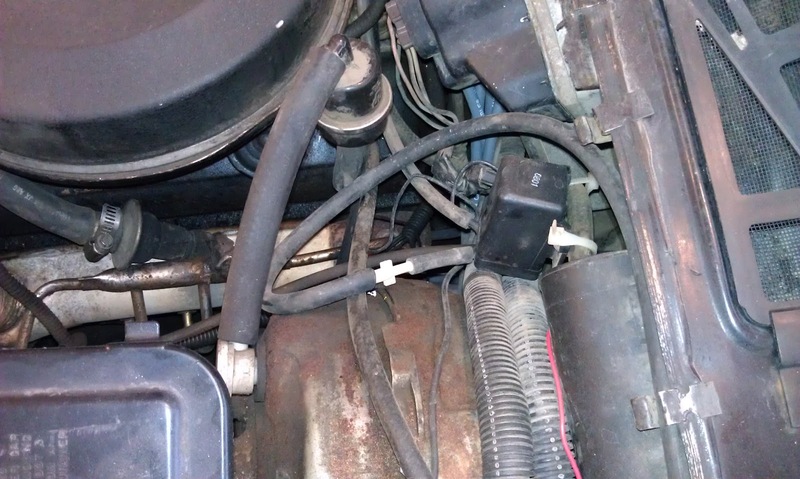 These next two pictures show how the washer fluid hose is routed and where it connects into the pump. The tank and hose removed and rinsed off. 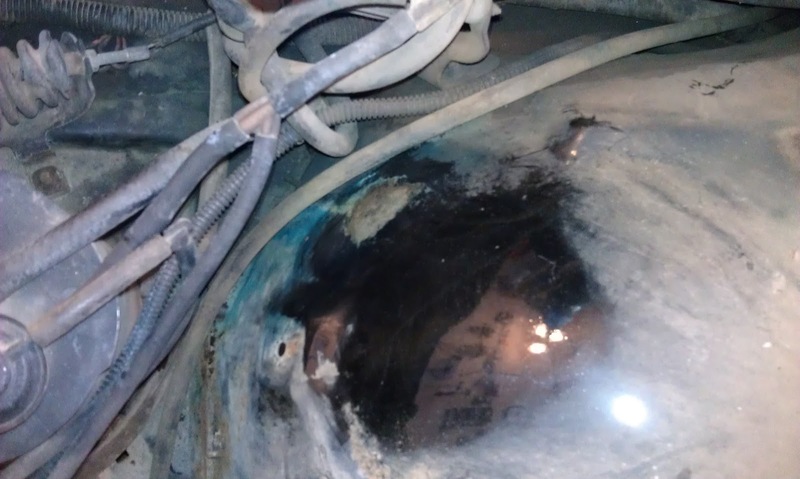 I noticed the corner of the reservoir had a small crack in it and had leaked onto the wheel well. You can see the blue stain in this picture. This actually looked like it had rusted through. 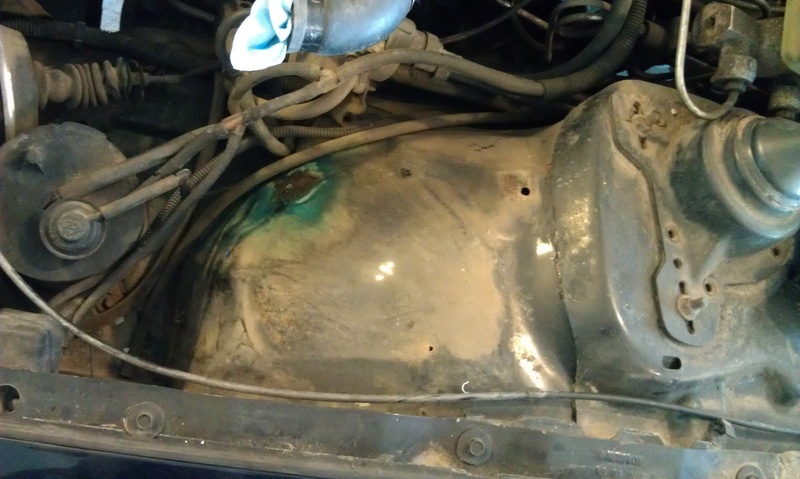 I wiped off the dirt and excess washer fluid and had discovered it was only surface rust after all. 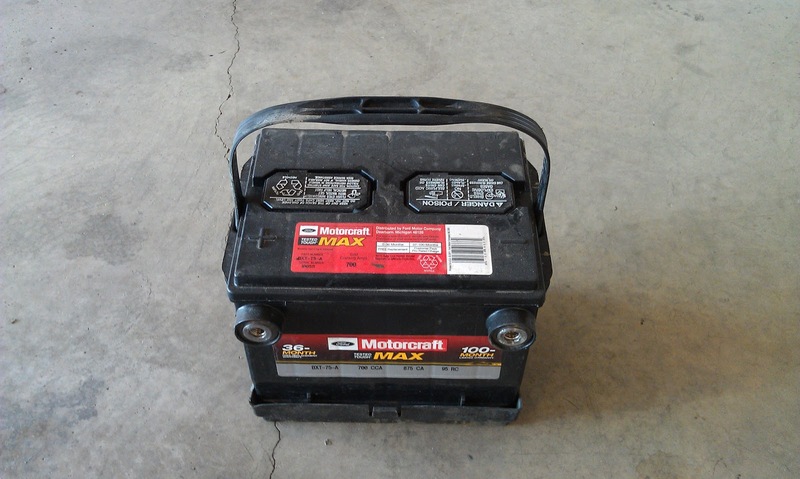 Since the battery was already disconnected, I decided to pull it out and get it out of the way. 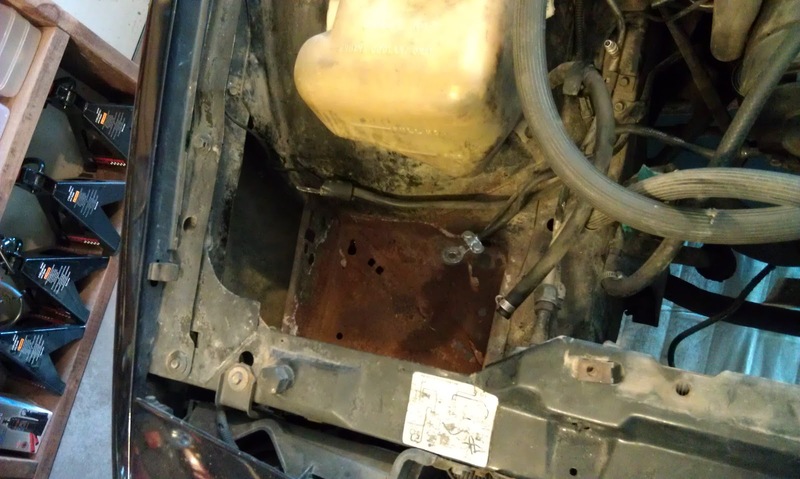 The bottom of the battery tray has some rust but does not look to be rusted through. The Ford dealership I bought the car from installed a new Ford battery in the Trans Am before I bought it. 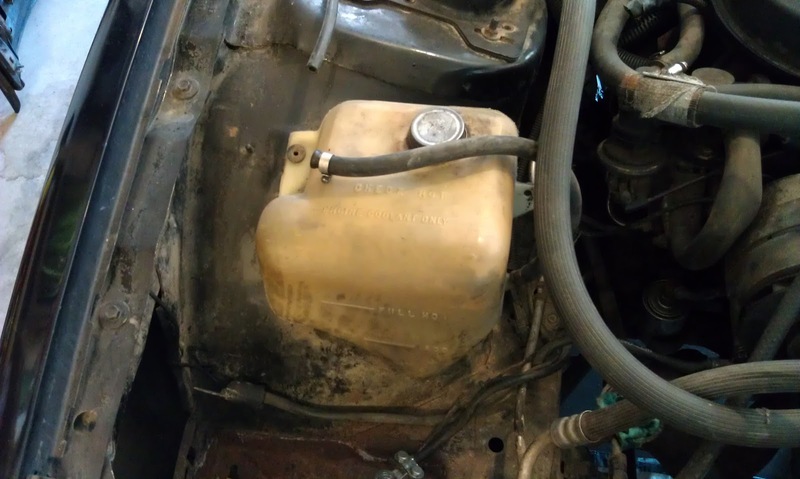 The radiator overflow tank is mounted on the passenger side wheel well with only two screws. 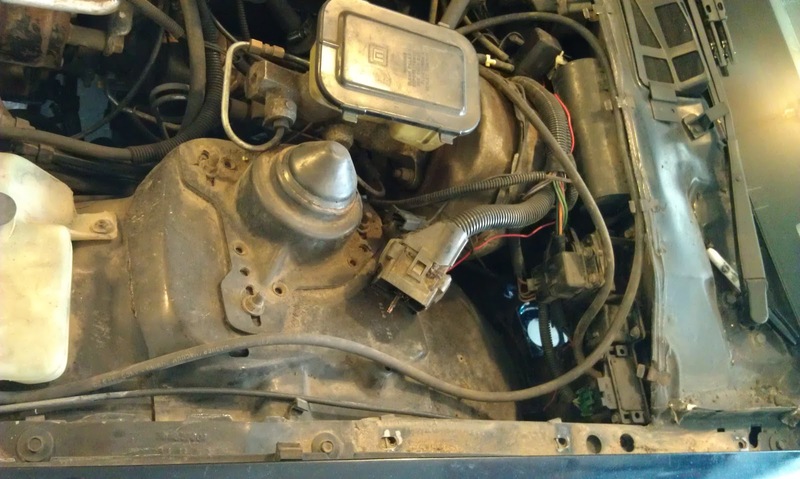 I had previously disconnected the hose when I removed the radiator. The tank and hose are out. I noticed the plastic lip the cap screws onto is broken and the cap will not stay on securely. 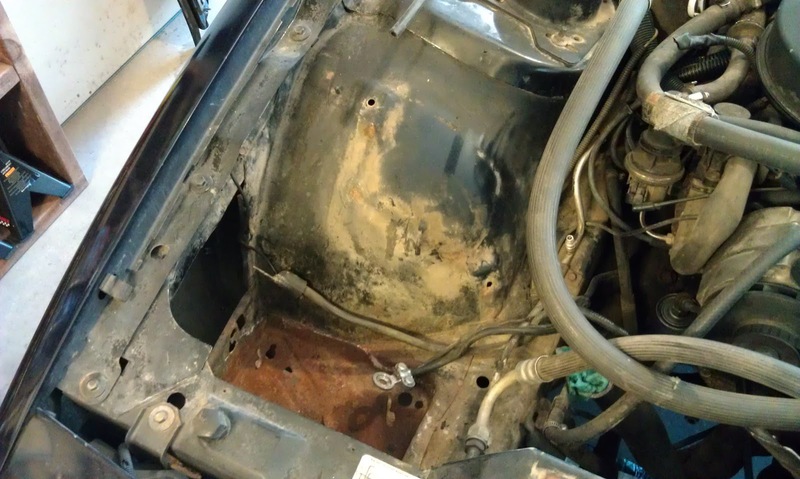 No obvious leaks or rust spots on this wheel well. 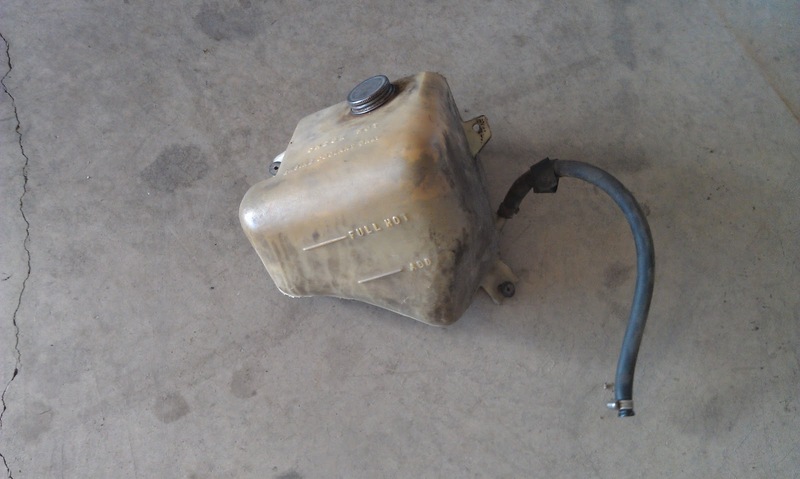 Since the washer fluid reservoir has a crack and the overflow tank has a busted lip where the cap screws on, I ordered new OEM replacements for both today. Once they arrive and I confirm they fit I will toss the old tanks.